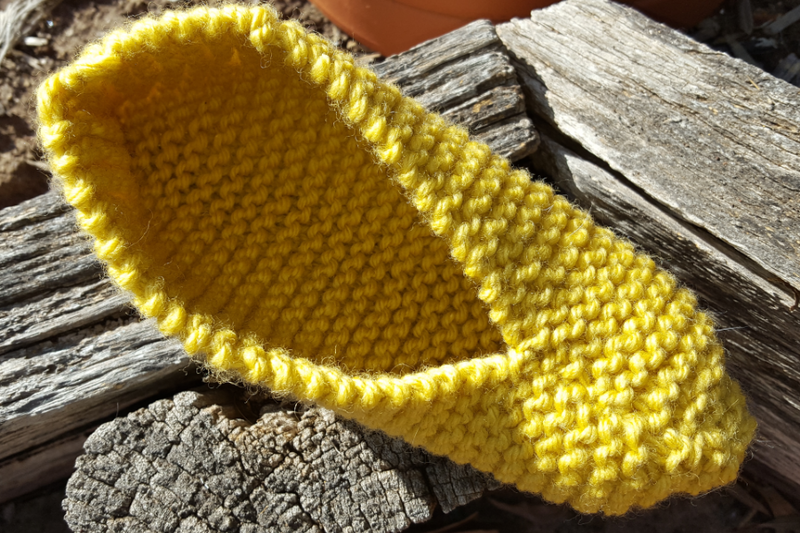 This simple knitted slipper pattern is ideal for anyone who is still learning how to knit. 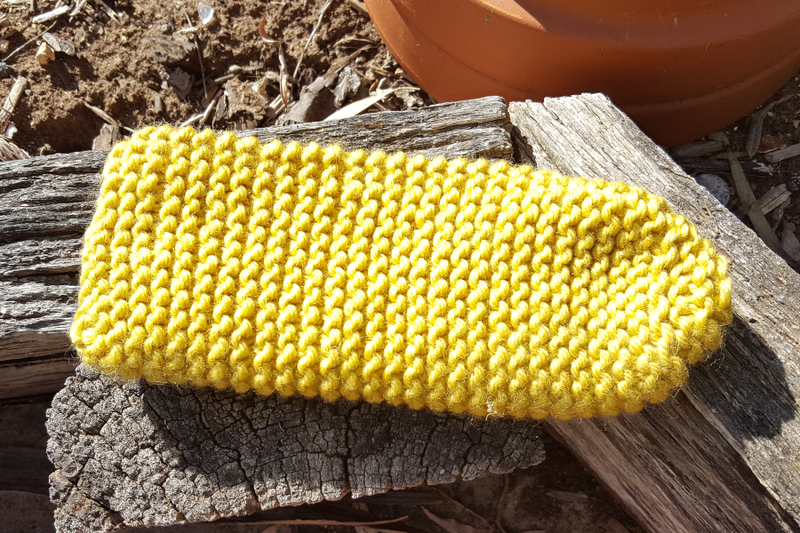 It is easy to make, it is knitted in garter stitch (so it is all knit stitches) and simple decreases at the toe. So all in all, a very practical way to practice your knit stitches! 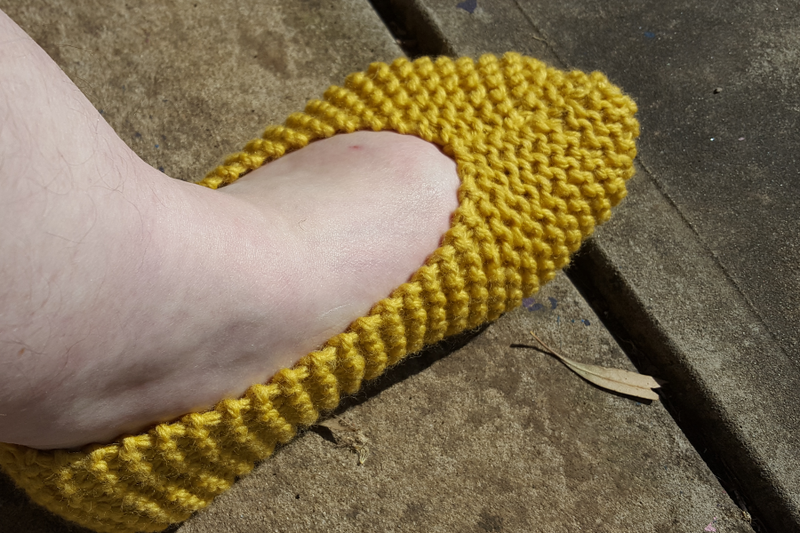 For my slippers, I used Cleckheaton Country Wide in Mustard, which sadly is no longer available in stores. 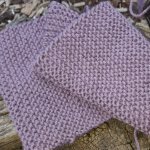 But is what I had in my cupboard when I decided to try out this beginner knitting pattern. It is a 14 ply wool, and my slippers could have done with being a little widers, so you can either substitute with 16 ply wool or knit with 2 strands of 8 ply instead of a 14 ply. 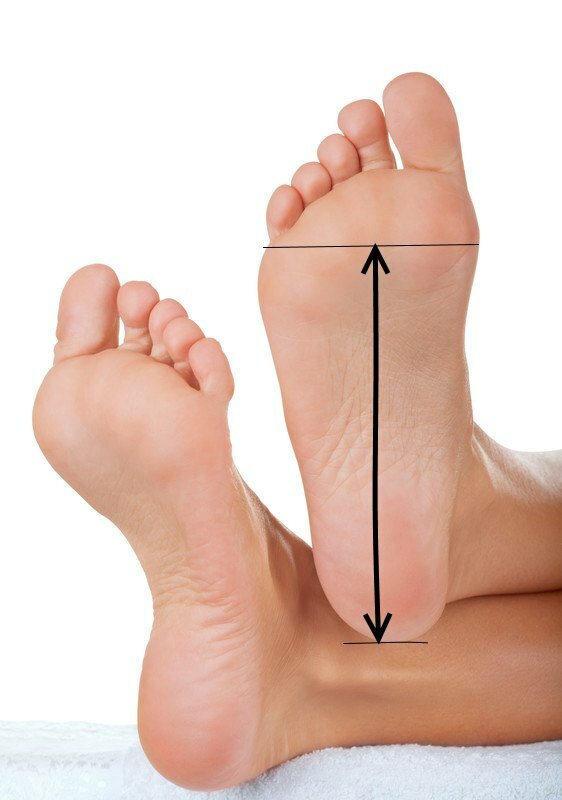 Sizes in this pattern are just estimates, I would advise that before you start knitting you measure the foot from the heel to just below the little toe to make sure that your slippers are the right length for the intended recipient. 14 stitches and 24 rows in garter stitch per 10 cm. Cast on 23 (27, 29) sts and knit straight in garter stitch until work measures 13.5 (17.5, 22.5) cms ending with a wrong side row. (The tail will be on the left hand side after turning at the end of the last row worked). Next row: K1, *(k2tog) rep from * to end of row. (12, 14, 15 sts rem). The long version of that instruction: for all sizes, knit 1 stitch, then knit 2 stitches together 11 times for the child's size, 13 times for the women's size and 15 times for the men's size). You should have 12 stitches on your needle if you are knitting the child's size, 14 for the women's size and 15 for the men's size. The long version of that instruction: for child's size, (knit 4 stitches, then knit 2 stitches together) twice. For the women's size, (knit 5 stitches, knit 2 together) twice. For the men's size knit 3 stitches, (knit 2 stitches together) three times. You should now have 10 stitches on your needle if you are knitting the child's size, 12 for the women's size and 12 for the men's size. The long version of that instruction (all sizes): knit 2 stitches together all the way across the row. You should now have 5 stitches on your needle if you are knitting the child's size, 6 for the women's size and 16 for the men's size. Break yarn and thread the tail through the remaining stitches on your needle. Pull tight and fasten off.